They're offering a £10 Amazon voucher perfect to spend on some books to read while lounging or even some essentials such as sunscreen the choice is up to you! 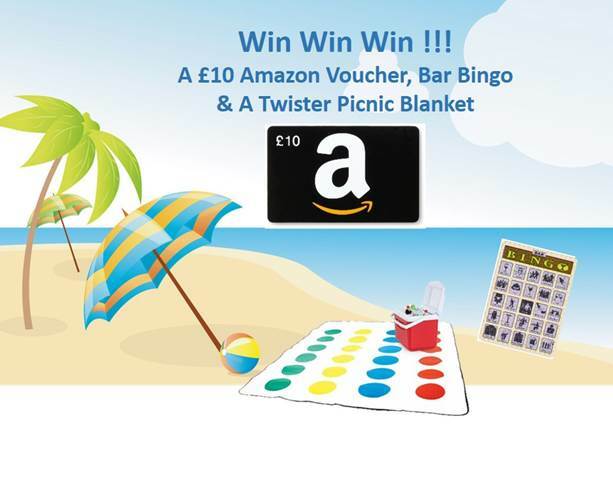 Along with the voucher you could also bag yourself some Bar Bingo to play while sipping a cocktail and a Twister Beach Towel that you'll definitely get hours of fun out of! If you'd like to win these great items for your Summer fun just enter below! Please note that this giveaway is only opened to people in the UK and Ireland.